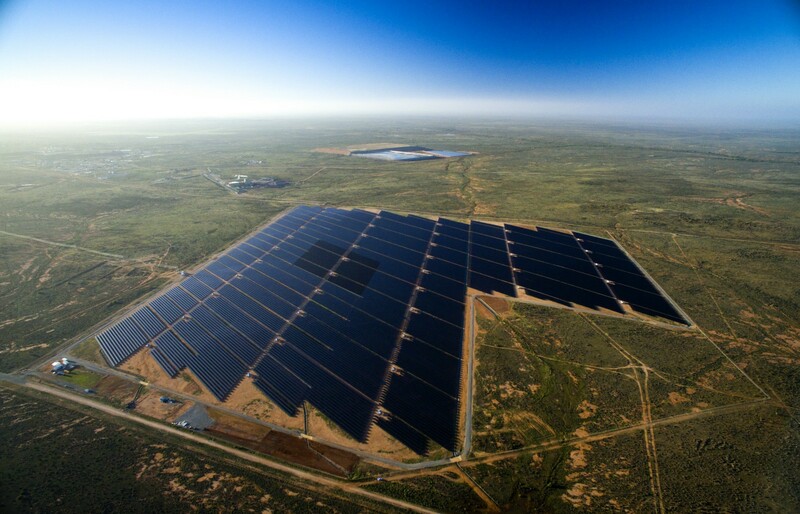 A solar energy plant near Broken Hill, Australia. Credit: Jeremy Buckingham, licence here. In a recent speech to a High-Level Symposium on Global Energy Interconnection, United Nations Secretary-General António Guterres described energy as “the golden thread that connects all the Sustainable Development Goals”. The set of 17 Goals he refers to were endorsed by all countries at a UN Summit in 2015, and set out a plan of action for “Transforming our world” for “people, planet and prosperity”. The Sustainable Development Goals (or “SDGs”) cover a very broad range of topics, including poverty, health, gender equality, economic growth, cities, the environment and many others. Under each of the 17 SDGs sits a list of Targets with clear deadlines — most need to achieved by 2030 but in some cases by 2020 or 2025. There are 169 Targets in total, making delivery of the SDGs a daunting task that has been criticised as difficult to understand, self-contradictory, or so unmanageable that the Goals are “worse than useless”. Our more charitable view is that an imperfect plan is better than no plan at all, and the SDGs are powerful because they are the first universal expression of what we want to achieve as a global community. Read more: What are the UN sustainable development goals? So why did the UN Secretary General describe energy as so important for achieving the SDGs? And are his comments consistent with scientific evidence? Unlike their predecessor the Millennium Development Goals, the SDGs dedicate an entire Goal to energy — SDG 7 commits all countries to ensuring, by 2030, “access to affordable, reliable, sustainable and modern energy for all”. The urgent need for such action is clear — Analysis published in October by the International Energy Agency found that 1.1 billion people do not yet have access to electricity (down from 1.7 billion in 2000). The IEA also found that more than 2 billion people still lack access to clean cooking facilities, with around 2.5 million premature deaths each year caused by the resulting household pollution. But how will action to address these enormous energy challenges affect action to deliver the other 16 (and equally important) Sustainable Development Goals? For the past 18 months, we worked with nine colleagues at University College London to develop a first draft answer to this question. Our findings, published today in the journal Nature Energy, strongly endorse Secretary-General Guterres’ view that energy plays a pivotal role in sustainable development. For example, our global review of scientific evidence suggests that all SDGs — and 143/169 specific Targets — can be reinforced by action to deliver reliable, sustainable and modern energy for all. Energy access is vital for economic growth and employment (particularly in poorer countries and continents), and access to food, clear water, sanitation, education, technology and healthcare. However, our review also identifies scenarios where action to achieve SDG7 can lead to unsustainable development — by undermining efforts to achieve 65 Targets spread across 16 Sustainable Development Goals. Most of these trade-offs relate to tensions between the need to rapidly expand access to energy, and the long term importance of building efficient energy infrastructure underpinned by renewable resources such as wind, solar, geothermal, hydro or nuclear power. Rapidly deployed and poorly planned energy infrastructure undermines development outcomes around the world — contributing for example to climate change, deforestation in Myanmar, more than a million deaths each year in China, and last week to toxic air pollution in Delhi that was 14–16 times higher than limits deemed safe by the World Health Organisation. 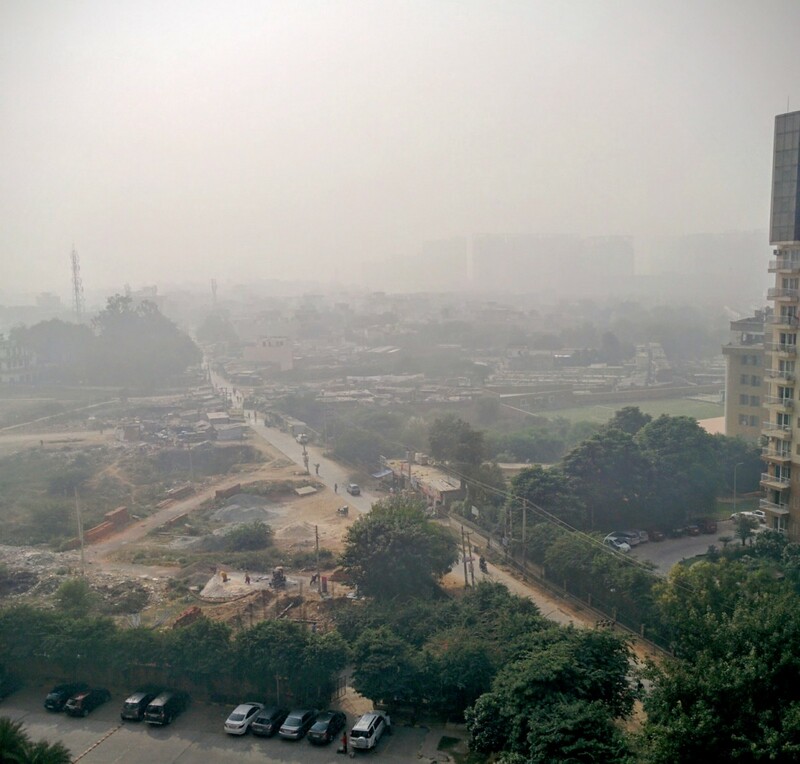 Morning smog in Gurgaon, near New Delhi, India. Credit: Saurabh Kumar, licence here. 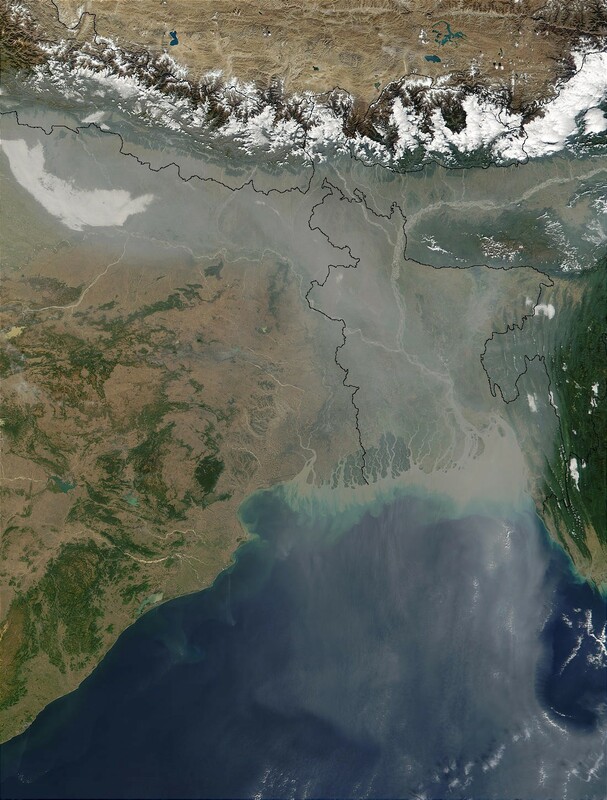 Aerosol pollution over Northern India and Bangladesh. Credit: NASA. Ultimately, decision-making about how we generate, transmit and use energy profoundly affects our wealth and wellbeing, our ability to build the infrastructure and institutions that support our daily lives, and the health of the natural environment — which is the foundation on which all development is built. These findings are not novel in themselves, but they do highlight serious shortcomings in how we make decisions about energy. Relationships between energy and sustainable development in the 21st century are too complicated for any one organisation—we need to manage them collaboratively through partnerships between people, communities, businesses, non-commercial organisations, and governments. In many countries, laws, policies, and government institutions focus on energy in isolation from other issues, and therefore struggle to do this effectively. See for example the recent fractious debates about electricity shortages in South Australia, and a report from Australia’s Chief Scientist that recommended major changes to energy policies and governance across the country. And governments are not the only actors that need to change their approach — scientists are not great at working together either, and tend to divide themselves into highly specialised areas that are difficult for outsiders to understand or engage with. If we can all find ways to work better together and sew the golden thread of energy more carefully, we can deliver a better world by 2030.